Take the guesswork out of the process, and replicate a system with proven results. This week, we have another refractor setup from the UK! 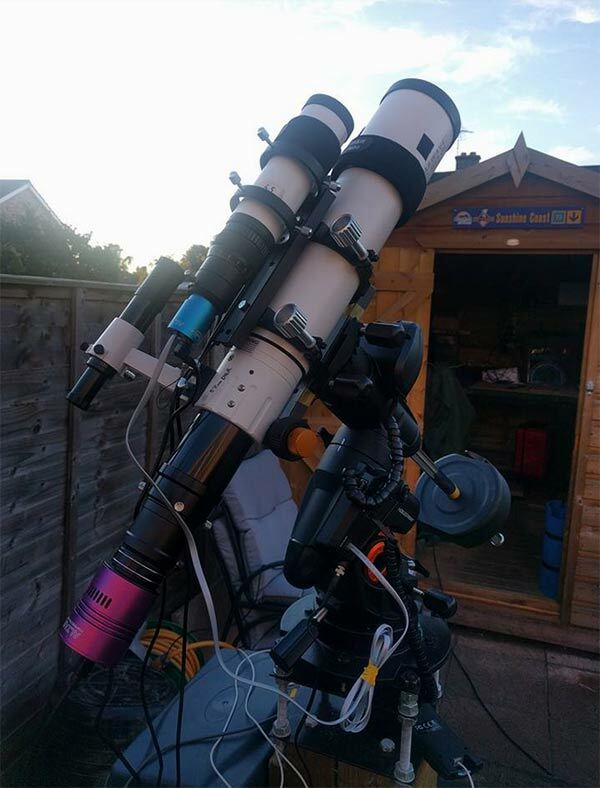 This week we have a very capable deep sky backyard setup in England. Tony likes to keep his imaging rig lightweight so he can quickly assemble his gear from his shed over to a stationary pier. 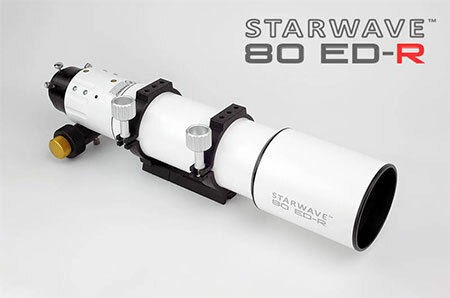 The telescope used in this weeks rig is another Altair model, the 80mm Starwave 80ED-R. You may recognize Tony’s primary imaging camera, the Altair Hypercam 183C! I have a relatively lightweight setup for two reasons. 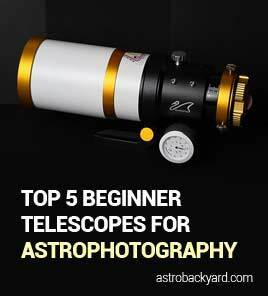 Firstly, I don’t have a permanent observatory, so I need to move my kit in and out the shed every session. Secondly, it’s great to be mobile for going to star parties and different locations. Having said that, I have tried to make things as easy as possible for myself by having a dedicated PC set up in my shed and a permanent pier next to the shed. All in all, it takes about 20 minutes to get everything outside and set up, followed by another 5 or 10 minutes for polar alignment. Kit wise, I’ve got my trusty Celestron AVX mount, upon which I have my Starwave 80ED-R refractor and 50mm Starwave guide scope. 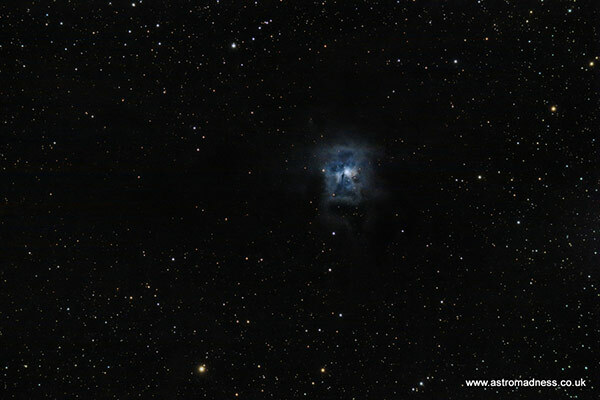 At the back end, I have a GPCam Mono for guiding and an Altair Hypercam 183c as my main imaging camera. Keeping it all connected, I have a power tank at the pier running the mount, homemade dew controller and dew bands and a USB hub. I then have a USB lead running into my Astro shed connected to the dedicated PC which runs Cartes du Ciel, SharpCap Pro and PHD2. I’ve recently extended my home wifi so it reaches outside so now once set up, I can return indoors and remotely connect to my machine from the comfort of the living room to run my imaging session from indoors. Thank you for sharing your setup with us Tony, and keep up the fantastic work!